The last week saw 20+ stations take to the air as part of SOS Radio Week, raising awareness of the RNLI whilst also (hopefully!) raising some funds. 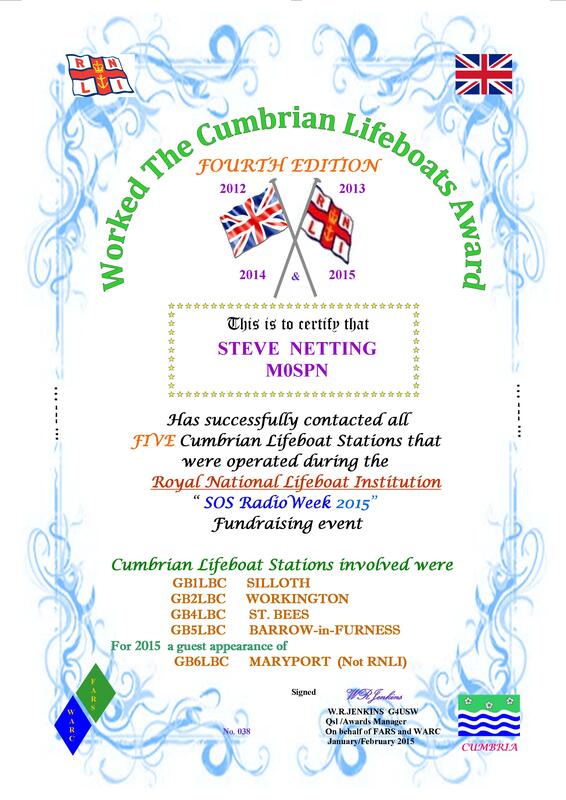 Many thanks to all stations who took part. 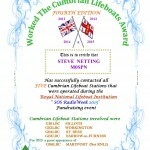 I worked 15 of the possible stations; enough to claim both a Platinum SOS award plus the certificate show here – the ‘Worked all Cumbrian Lifeboats’ award. Donations can be made by text: SOSW99 £2 / £5 / £10 to 70070 (eg. SOSW99 £5). This entry was posted in Uncategorized and tagged award, radio, SOS, week. Bookmark the permalink.